We are The Gold ATM — the highest-reviewed gold buyer and diamond buyer in Atlanta. We buy used jewelry, including name brands like Cartier, David Yurman, Tiffany & Co., and more. On top of that, we also provide low-interest jewelry loans (rates starting as low as 5%) on all fine jewelry and jewelry-related items. Recently, we had a customer come into our office unaware that their Cartier bracelet was not authentic. That is why we’ve decided to create this post for all of our customers — to educate them about iconic Cartier bracelets and teach them how to spot a fake Cartier piece. Anyone who knows anything about jewelry is familiar with Cartier bracelets, especially their LOVE bracelet — one of the most famous jewelry pieces in the world. The Cartier LOVE bracelet is a symbol of inseparable love and commitment. Unfortunately, since its popularity is far-reaching, this bracelet has become one of the most frequently counterfeited jewelry pieces. Although it might be hard, especially for an amateur, to distinguish a fake Cartier bracelet from an authentic one, it is not impossible. All Cartier bracelets are stamped with a hallmark that tells us about the quality of the metal. For instance, an 18k gold bracelet will be stamped with 18K or 750, while a platinum one will be marked with 950. When this hallmark is missing from a bracelet, that is the first warning sign that it might be a fake. Also, the stamp on all Cartier bracelets is precise and smooth; if the hallmark is smudged, chances are that the bracelet has been counterfeited. Some fake Cartier bracelets have a different font or spelling mistakes, which is another certain sign of a fake. An authentic Cartier bracelet is made of the highest quality gold and platinum, which makes it rather heavy. Depending on the model, the bracelet should weigh between 30-38 grams. A fake one will definitely weigh less than an original. The color of the metal is another indicator that could point to a fake Cartier bracelet; if there is any discoloration or chipping, our piece isn’t authentic. In addition, the screws have to be perfectly stamped into the metal; uneven placement and lack of smoothness are clear signs of a fake. Finally, the edges on a genuine Cartier bracelet are always precise and crisp. Using a screwdriver, we should be able to easily turn the screws. On a fake, screws aren’t as easy to open, and the sides look rounder. Cartier bracelets are some of the most iconic jewelry pieces in the world; as such, they come with a hefty price tag. A new gold Cartier bracelet costs $6,300, and it holds its value. Anything significantly lower than that could point to a fake. When you are not 100% sure if your Cartier bracelet is authentic or not, it’s best to ask a professional. 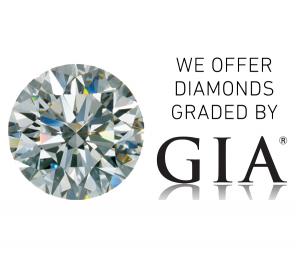 With over nearly 300 five-star reviews on Google, we are the most trustworthy gold and diamond buyer in Atlanta. We also have an online store that allows customers to purchase pre-owned jewelry at discount prices. What’s more, we operate out of safe and secure office settings, ensuring a pressure-free environment for all our customers.